Please use the calendar below to view which dates are available. Simply click the dates you wish to book and follow the on screen instructions. By booking you are accepting that you have read and agreed to the terms & conditions. 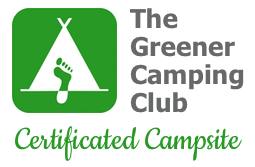 In order to comply with local planning policy, we operate as a ‘Greener Camping Club members-only site’. One membership is required for each occupied bell tent. Membership costs £10 a year. This amount will be added to your camping fees at the time of booking. Membership includes participation in the Club’s Carbon Offset Scheme. This commits us to planting a tree for every booking we take. We’ll issue your membership receipt upon arrival. Further information is available on the Greener Camping Club website or by request.